Signalling its continued commitment to and focus on Make in India, BAE Systems will host its first ever India Supplier Summit on 5th April in New Delhi. The Summit is being held ahead of Defexpo, the country's biennial Land, Naval and Internal Homeland Security Systems exhibition slated for April 11-14 in Chennai. With participation from over a hundred representatives from a cross-section of Indian companies, the Summit will serve as a single platform of engagement between these Indian suppliersand the Company for its global supply chains in Land Systems, Air, Naval, Electronics, and Technology. Paul Smith, Chief Procurement Officer, BAE Systems will deliver the keynote at the Summit in the presence of Nik Khanna, Managing Director, India, and Dr Joe Senftle, Vice President & General Manager of Weapon Systems at BAE Systems. "Our success as a company is evidenced in our partnerships with the finest suppliers in the world, and we are delighted that this inaugural Summit will expand this network to integrate Indian suppliers into our global supply chain ecosystem and deepen our existing partnership footprint here. Developing an in-country supply chain is key to our commitment to Make in India and we have a strong interest in supporting the vibrant SME sector in India via both local and international opportunities.Together with our supply chain partners, we will continue to deliver technologically advanced products and services that give the forces in India and around the world, an operational advantage." 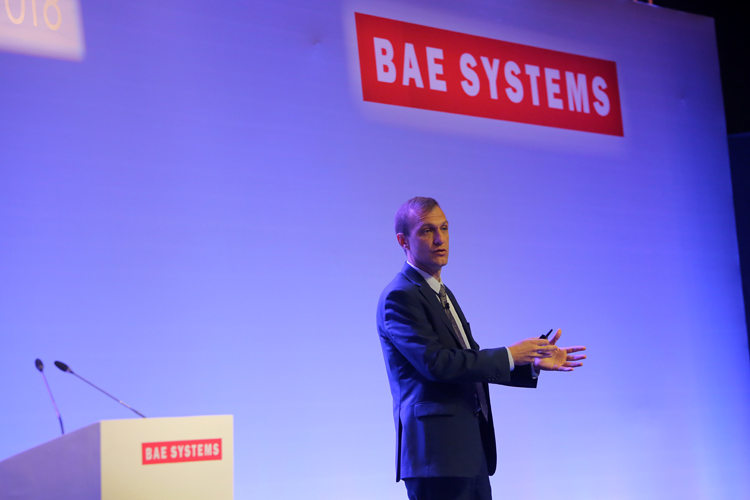 The focus on partnerships with Indian companies will continue into BAE Systems' showcase at Defexpo. 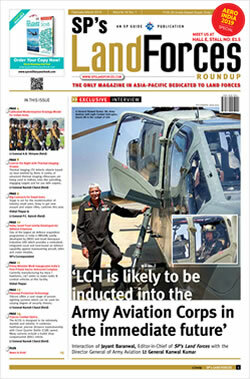 Leading the Company's presence at the Show will be Alan Garwood, Group Business Development Director, Air Chief Marshal Sir Andy Pulford, Retd., Senior Military Advisor, Nik Khanna, Managing Director, India, Alistair Castle, Country Director-India, Paul West, Director, Indian Campaigns, BAE Systems Inc., amongst others. Centerstage at Defexpo will be the M777 Ultra Lightweight Howitzer which will be on display for the first time since the Governments of India and the United States agreed the Foreign Military Sale of 145 of these weapon systems for the Indian Army in November 2016. In fulfilment of the Sale, the first two weapon systems arrived in India ahead of schedule in May 2017. Encouraged by Prime Minister Modi's call to "Make in India", BAE Systems has awarded the development of an Indian Assembly, Integration and Test facility for the M777 to Mahindra and Mahindra. In addition, the conclusion of this procurement has paved the way for BAE Systems to make an investment of over $200 million in Indian defence suppliers. Nik Khanna, Managing Director, India, BAE Systems, "The India Supplier Summit serves as an excellent springboard for our company's presence at Defexpo. In addition to showcasing the range of our capabilities and technologies, the Show provides us a focused platform to engage with our customers, users in the military, partners, suppliers and the industry at large, providing both direction and momentum in our plans to "Make in India"." To underline BAE Systems' capabilities for the naval forces, on display will be the Mk45Mod 4, the lightest, most compact, 5-inch fully automatic naval gun in the world and is the most widely deployed to the U.S. Navy and other allied navies. The Show will also see BAE Systems strengthening its intent for industrial partnership on the 40Mk4 Naval Gun. An extremely flexible weapon system with its high rate of fire, 40Mk4 Naval Gun provides capability to switch between optimized ammunition types. In January this year, Finland became the third country to select this weapon system. The Make in India Hawk advanced jet trainer, in service with the Indian Air Force and the Indian Navy, will also be on display at Defexpo. Also on display will be a wide array of munitions including versatile 57mm and 40mm programmable 3P Ammo, BONUS 155mm sensor-fused ammunition, 105mm and 155mm artillery, and 120mmTank ammunition, CT40 cannon, 39 Calibre gun, among others. Also present is BvS10,an armoured articulated vehicle that is designed to provide total operational support. Broadsword® Spine®, a product platform of interconnecting components and a revolutionary wearable technology for the armed forces which incorporates fire & rescue services and law enforcement,will also feature amongst the the displays. Another highlight of the exhibit will be the Advanced Precision Kill Weapon System (APKWS®), a highly cost-effective solution that turns a standard unguided 2.75-inch (70 millimetre) rocket into a precision laser-guided rocket to give warfighters a low-cost surgical strike capability. The APKWS rocket has been successfully demonstrated on more than a dozen fixed-wing and rotary-wing platforms including the F-16, the Bell 407, and AH-64 Apache.